There is a very old section of Monongahela formerly known as Catsburg. 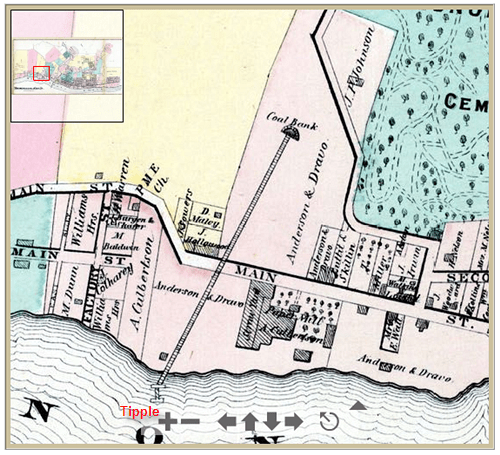 Here is a map showing what this area looked like in 1902. 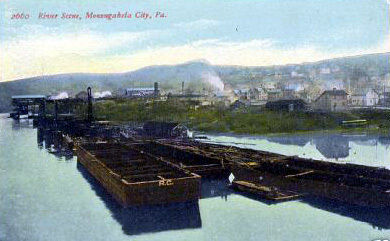 (Though Catsburg was a part of Monongahela by that time.) Click on this thumbnail image to view a larger image. I first became interested in Catsburg while reading the “Historical magazine of Monongahela’s old home coming week. Sept. 6-13, 1908” (see Resources tab above) This publication isn’t really a magazine like we think of today. It’s pages number 271 with about 20 more pages of advertisements. It was written to commemorate a city wide homecoming celebration and contains lots of history along with current events. It was written in a friendly conversational tone and is seldom dry and sometimes hilarious. Much of the historical content was written in the “first person” style. The only problem is that the writers will frequently refer to a building as “Mrs. Jenkins Home” assuming that every body knows where it is. Or, they’ll refer to areas such as Bellewood, West Monongahela (both known now as New Eagle PA) or Belvedere (somewhere out 4th street). These names were obsolete even back in 1908!. Well one of the mysterious names that kept cropping up was Catsburg. It was always referred to as being an old part of town. My best guess is that it was the area right across Pigeon Creek along the Monongahela River. I have spoken of Pigeon Creek as the southern boundary of Monongahela in 1872, and but few dwellings could be found south of it in the place then named Catsburg. The origin of this title I was informed by whom I believe to be a citizen o the town, was due to the fact that cats, always numerous, resorted to the other side of the creek to fight their duels, settle their disputes, and eat their catnip which grew there abundantly. The tumult and noise of their battles disturbed and racked the quiet of the citizens and so they called it Cattsburg. 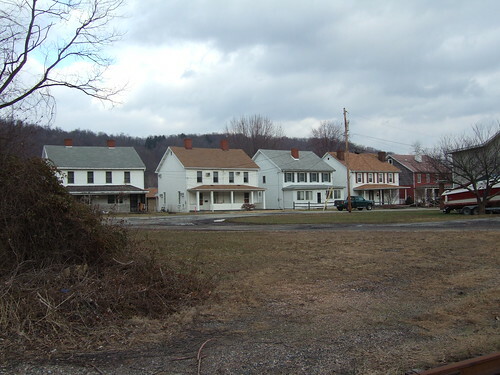 When Williamsport [a previous name of Monongahela] was laid out in 1811, the widow, Biddie Caldwell and her daughter were the only people residing on the plot now known as Catsburg. These two were always fighting, so the people called them cat and kittens, hence the name Catsburg originated. In the magazine, Catsburg seems to be noted mainly for the Catsburg Schoolhouse and the Catsburg Mine. I’ll write about the mine now and save the subject of the schoolhouse for another day. It is easy to spot the mine and the tracks leading down to the tipple on the river. I believe the Catsburg Mine was founded by Lewis Staib. 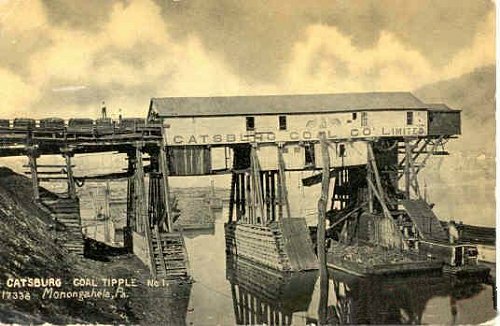 The photo above says Catsburg Coal Tipple No 1. Was there another one? Click here to view a satellite image of this area. It is fun to note the changes that have occurred over the years. To read more about the history of the Catsburg mine and the family that owned it visit Pittbuff.com. Visitors were frequent to the city. One who made his mark in the literary world was Samuel Clemens (Mark Twain), who made a trip up the Monongahela in 1891. While on board the boat “The New Dominion”, Captain J.S. 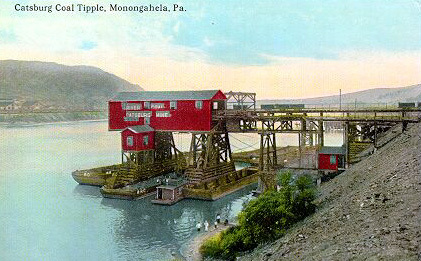 Moorhead told Twain that Monongahela proper held an area called Catsburg. Twain, a lover of cats, decided the town “wasn’t half bad”. UPDATE! Read about the area known as “Rocky Beach” – a popular swimming hole near the slate dump in Catsburg. I like your blog, a lot of interesting things. I’m originally from Mon City, my folks still live there and my mother runs Granny Nannies on Main St. I was looking for info online about town when I ran across your site, I grew up in the Victory Hill section of Carroll Twp. but I never heard of Catsburg! I’ve heard of parts going towards Donora refered to as Hazard, PA (there use to be a post office across from the VFD on W. Main Street but it was torn down within the last few years). I’ve also heard the area referred to as Black Diamond, wither that was the name of the mine or not Im not certain. I think Victory Hill had another name at some time but I can’t remember what my grandfather told me what it was? I was in the parking lot of McDonalds not too long ago and I noticed something that I never did notice before, if you south look down main street and up at the building that use to have the Hallmark Store in it theres an old advertisement for the a defunct newspaper, the Daily Republican, that was published in town. Thanks for your comment and the mention of Granny Nannies, I’m going to check it out! Victory Hill is a nice area to raise a family with no through streets so it is like a community unto itself. I’ve done some exploring up that way and found a cool tunnel that runs under the country club and also the remains of an old rock quarry on the farm of a friend of mine. I have a pic somewhere of the Daily Republican sign, I’ll post it when I get a chance. Another great post Dan, thanks! I had no idea that I spent so much time in Catsburg! From fishing to hanging out with my girlfriend I guess Catsburg has been a large part of my life and nobody told me about it until now. Great work – please keep it up. Also, as a kid I remember ‘exploring’ the old school you mentioned. Can’t wait to read up on that. Regarding the houses in catsburgh. I lived in this area for over 70 years and I recall a conversation with a man who lived there all his life.He said at one time the houses were all joined together and the thing that makes me think it true is some of them have only one chimney and the rest have two. 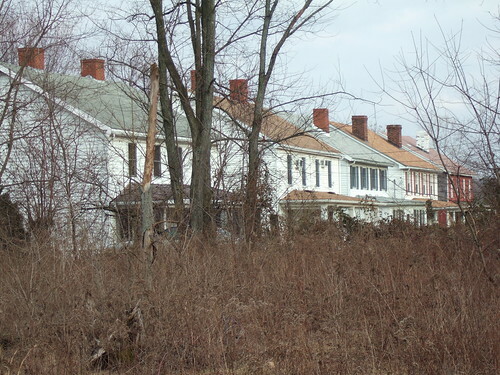 Does anyone remember the patch of houses that used to be along what is called “Black Diamond Hollow”? If so, did this area have a seperate name of it’s own? I was riding my dirt-bike back in there about 15 years ago, and some remnants of the houses could still be found… mostly what appeared to be cement porch steps and sections of block foudations, and of course a few bottles and bits of trash that hasn’t yet broken down. The road itself has been blocked off since about 1991, but if you’re riding a dirt-bike or quad, you can get around the Jersey barriers that have been placed o the road about a half-a-mile from it’s start on Rt. 837 between Monongahela and Donora. Hi Brad. Is this the road you are talking about? I found this site by researching Catsburg. I am a native of Mon City, though I have lived in Texas since I was a child. Monongahela holds my heart and is my TRUE home. I am just now finding out about Lost Monongahela, learning where everything WAS. I remember the Catsburg tipple because I went there with my grandfather many years ago. 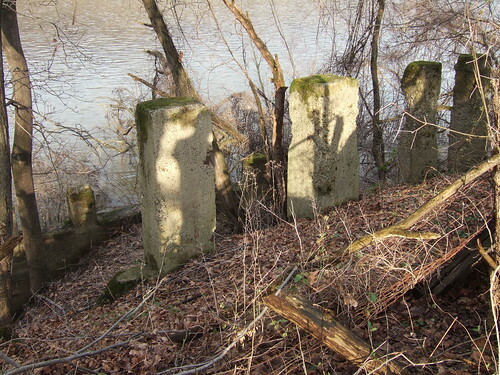 There seem to be a lot of sites right off the river with mine leftovers and old cement blocks. 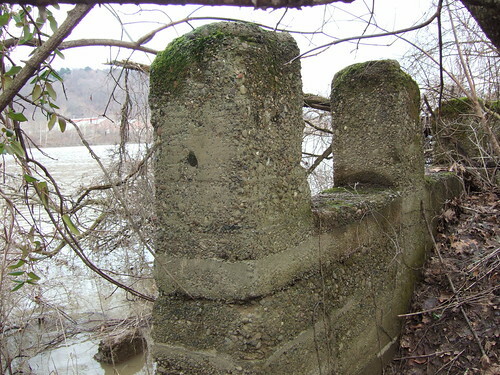 One time when hiking, my grandfather and I found a half-submerged cannon trolley (you know, the things that used to wheel cannons around) sticking out of the river, several hundred feet south of the aquatorium. We reported it to the city and they salvaged it. I am not sure where it is today, sadly. I LOVE this blog. Thank you so much. Please feel free to contact me so we can discuss all of this! I am taking a trip home soon and I am going to re-visit these areas! The Hallmark store is GONE??? I also heard from a friend that Angelos II is gone as well. I cried over that one. Lots and lots of memories at Angelos! 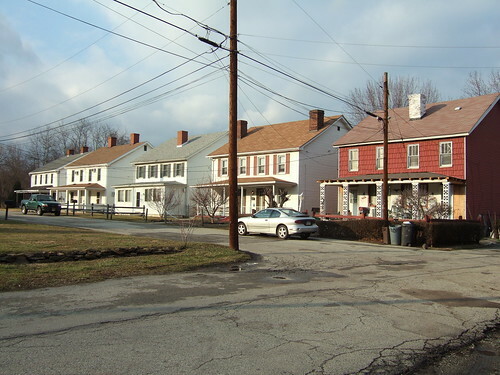 Catsburg is the 3rd ward district of Monongahela. The boundries as I recall growing up at 547 East Main St. The Catsburg mine had one of the entrances across from our home on Main St. at Ivy Hollow. Catsburg started from Pigeon Creek with Lenzi’s Pizza Resturant on the East side of the creek and Frankies Foot Long hot dog stand on the Turners side of Pigeon Creek. Catsburg extended up Main St. through Black Diamond. 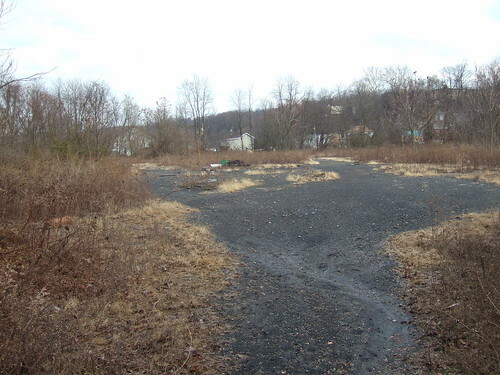 Black Diamond was the name of the coal mine at the East end of Monongahela. I lovely victorian hotel called the Black Diamond Inn was located on the corner before the road dipped towards Victory Hill and Donora. My Uncle Jack Kline’s aunt owned the Black Diamond Inn during the 50’s. The hotel was demolished and the vets purchased the property. Rocky Beach was the best swimming beach on the Monongahela side of the river for families. The diving board at its best times had 3 levels to dive from but the river boat captians would swing in during high river water levels and they would purposly ram the diving board structure. We would at times hop the coal barges that were loaded and low in the water. The boat crews would try and chase us off the barges. One time they had the idea to throw coal at 6 of us so we decided to retaliate and throw coal back. We then dove off and swam back to Rocky Beach as the pattle wheel would head towards the Monongahela bridge and head down the river towards Pittsburgh. 1000 ft further towards Black Diamond was Perry Adams Beach mostly a guys beach and he was called the river rat. That beach was sandy and less stones as all the guys would pick any rocks and stones and deposit them on the hill side. The area use to be the ball fields for the Pony League before the city purchased the Williams Hill park. The decline of Catsburg started when the city councel sold the ball fields to the scrap metal company better known as the junk yards. 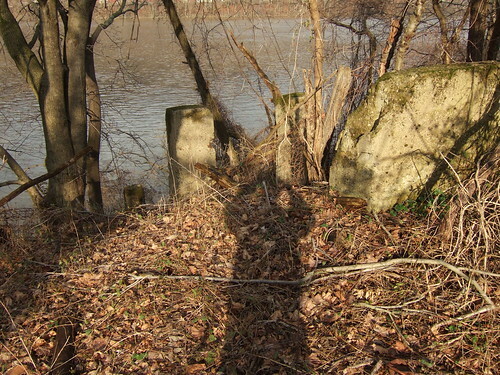 The 3rd ward was a very exciting place to live if you were a youngster and wanted to explore the river, slag dump across from the Valley Cleaners, Rocky Beach and wooded areas that bordered the Monongahela Country Club. The ball fields along the river was a good place to find arrow heads after a big rain. The flint would be exposed from the light brown dirt from the playing fields. The indians camped at that area or fought battles there as I found many peices of flint as a youngster. Perry Adams introduced me to that treasure and when to look for the arrow heads. I have many adventures growing up in Mon City. Perry tought me to swim and I dog paddled across the Monongahela River when I was 5 1/2 years old. He rowed his boat beside me encouraging me to keep my head up and feet kicking. I eventually left for the US Navy and was on the Navy swim team in the 60’s and was accepted for Angel Duty as a helicopter crew member on several USS aircraft carriers. I will always credit my strength to my friends and family in Mon City. My dad grew up in Catsburg, my cousins still live there. In one of the houses you have pictured. I lived in Catsburg 1930 to 1948. During the 1930’s Great Depression there were several homes that were condemned property. I grew up in one of them. We were located near Lenzi’s restaurant. The homes and their outhouses were town down many years ago. I was told as a child that Catsburg was a name given to that section because it has the local house of ill-repute, which were called CATHOUSES at the time. I guess you noticed I spelled torn as town. Does anyone have more information about the Black Diamond Mine? I have an old photo of workers and I would like to identity some of them. James Coulter was in Catsburg early 1800’s. He had sons Raphael, William, Robert and James. The elder James was married to Nancy Nichols. Raphael was married to Nancy A Nelson. They had John Perry Nelson Coulter, who had my grandfather George Lawrence Coulter, who had my dad John Lawrence Coulter who Married Bette Mae Patterson. I have posted a comment previously. I lived in Catsburg from 1941 until 1961 when I joined the US Navy. 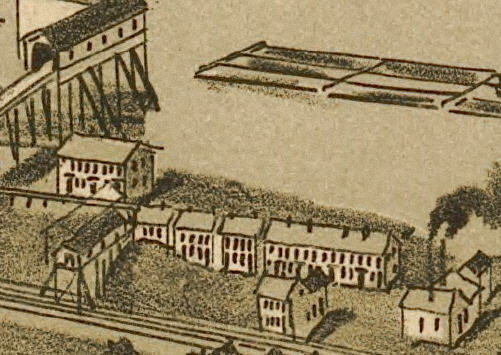 The photos of the company houses are the homes just east of the coal tipple in the early 1800 drawing. The section is called the Patch. The Monongahela Water Works is located east next to the company houses. That is the direction towards Black Diamond and Donora, PA. 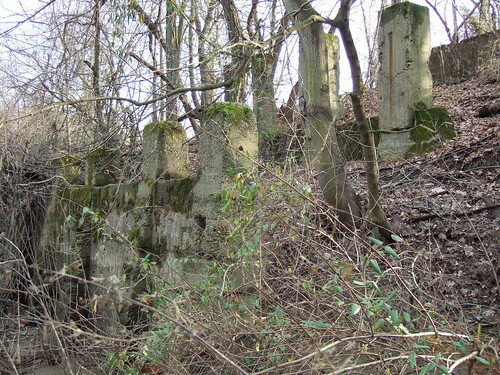 The picture of the cement pilings are the remains of the coal mine tipple that is in the 1800’s drawing. In the 1960s the slag dumb next to the company houses was still burning. The slag was eventually used as road material. Rocky Beach the swimming area was the old tipple spot. The picture is deceiving as it must have been taken during high water because the pilings are located in and close to the water. The company house in the middle was owned by The Masters and the end home on the right of the row was the Rivera’s the youngster then was Andy Rivera and we would instead of knocking on our friend’s house we would call out Hey Andy. Years later he opened a bar in the early ’60s called Hey Andys located on W Main street across from the Monongahela High school near the Acme supermarket. Funny calling it a supermarket now but it was a big deal then, In my thinking, the stories about cats etc on Catsburg are nice reasoning but probably more to the truth was Cat Houses. As a very young boy, I would see fancy cars park near the Victory Inn at night near 545 East Main. Men visiting ladies that showed up at a residence in the area. It must have always been the part of town that no one discussed the business of Catsburg that is most likely why there is no written explanation to the name. Black Diamond Mine was the last operating mine and the entrances of the mines are still visible there are 3 that I could determine all in Catsburg the 3rd ward of Monongahela. In the ’50s the population was approx 4 to 5 thousand today the count must be less than half that. If the city commission had any fore site they would have preserved the Main street of Monongahela even up to the 70’s it would draw tourists. I almost bought a house at the 6th street park for a B&B. Two factors there were many historical houses in good shape along West Main St and there was no place to stay for overnight lodging anywhere near Mon Valley. The Hotel Main was located at the corner of East Main St and Park Avenue. It was a beautiful 1800 structure but went into decay with no caring owner. that was the last lodging in Mon City. Along with my Uncle Jack Kline’s Aunts, place called the Black Diamond Hotel located at the East end of Monongahela as you drive towards Victory Hill and Donora, PA. New Eagle had a small hotel but nothing of 1900 era decor. I have explored every mile of East Monongahela and the railroad tunnels under the Monongahela Country Club. We can keep the comment thread going so we all can learn more each day. Thanks for the comments and questions from all. Thank you for the article. I see that you agree with me about the original meaning of Catsburg. In the 1920’s (prohibition days) and 1930’s (great depreciation) Catsburg was a rough place.